Filmmaker #ShoojtSircar says his upcoming film is a simple story. Not a love story, but it is a story about love. Shoojit who is busy promoting his upcoming film 'October' while talking about the trailer's response during an interview said, "It is a very simple film. After the trailer we've been getting responses like it is intriguing, thriller or suspense film, there is nothing like that, it is a very simple story. Not a love story, but it is a story about love. It is about relationships, fortunately, this story is about a boy and a girl or else it could happen to anyone." 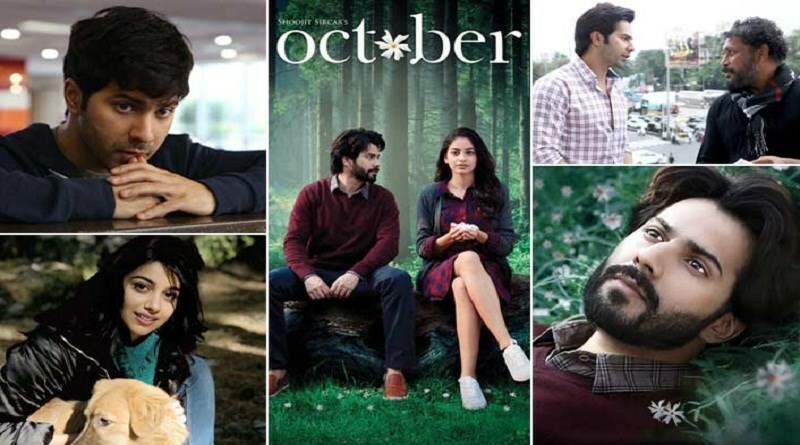 The director also revealed that Varun wasn't on this casting list, and he was looking for a fresh face, ""But one day he was in office and I saw him, I was aware of his image, his commercial world image, but somewhere I felt he is not like that, he is different,"
He said the reason for choosing Varun for the role of Dan was because, " he has something different in his eyes... honesty and innocence. There is something very nice and vulnerable about him. He just doesn't only dance and jump, there is some sensibility in him too. He is perfect as Dan, the character". Shoojit further praised the 'Judwaa 2' actor, Varun by saying, "Good thing about Varun Dhawan is that despite his success with films, it is brave of him to do this kind of film, which is an unusual and unconventional story."